I think all Americans remember where they were and what they were doing on September 11, 2001, when our country was attacked. Todd and I were just waking up. We were still at our old house up the street. I usually watch Good Morning America while getting ready for work, and for some reason Peter Jennings was on. It took me quite a few minutes to grasp the magnitude of what happened. Then we saw the first tower collapse. Then the second. I went to work in a state of shock. We watched the news on and off during the day in the conference room. I also remember that we had just purchased our current house, and we hadn't locked in the interest rate yet. The rates were unstable so I called the bank and locked in the rate. It will always be a sad day of tragedy and loss for our country. Over 3,000 people did nothing but go to work that day, never to return. So many fathers, mothers, brothers, sisters, wives, husbands, sons, and daughters were lost. Our whole country’s sense of security was also lost. We are now living in a different world, never to be the same. Today I will take some moments to reflect and remember. Todd actually worked in the World Trade Center for several weeks in 1998, at Empire Blue Cross Blue Shield, which occupied 10 floors at One World Trade Center. 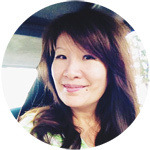 He was working at NCR as an IT consultant at that time, and helping Empire Blue Cross Blue Shield migrate their systems. Fortunately all his former colleagues got out safely because they were in one of the lower floors. However, Empire BCBS did lose 13 employees on 9/11. They lost their headquarters, but eventually moved all 1,500 employees to a brand-new building in Brooklyn. 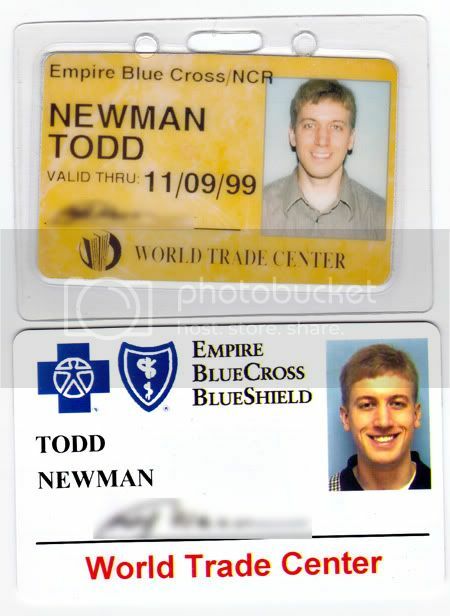 Here's Todd's old ID's to get into the World Trade Center elevators and into his company's floor. We kept it at first because I’m somewhat of a pack rat and like to keep mementos. After 9/11, we kept it as a remembrance of all we lost, and how fragile and unpredictable life is. Today I remember. This is the "I remember where I was when I heard ..." day of our generation. For my parents, it was the assassination of President Kennedy (yes even here in the UK my parents knew where they were when they heard that news) and likewise, I will always remember where I was when I heard the tragic news of 11th September 2001. San Diego Triathlon Classic… Again!